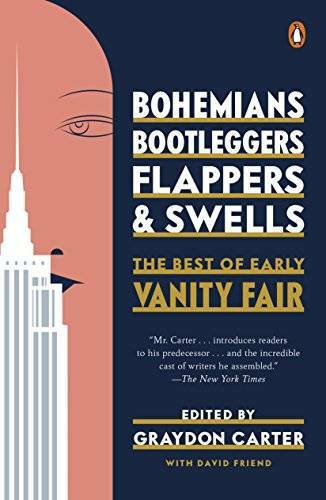 In honor of the 100th anniversary of Vanity Fair magazine, Bohemians, Bootleggers, Flappers, and Swells celebrates the publication’s astonishing early catalogue of writers, with works by Dorothy Parker, Noël Coward, P. G. Wodehouse, Jean Cocteau, Colette, Gertrude Stein, Edna St. Vincent Millay, Sherwood Anderson, Robert Benchley, Langston Hughes—and many others. Vanity Fair editor Graydon Carter introduces these fabulous pieces written between 1913 and 1936, when the magazine published a murderers’ row of the world’s leading literary lights. 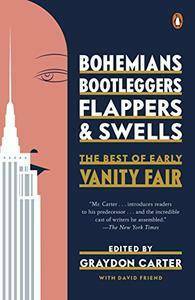 Bohemians, Bootleggers, Flappers, and Swells features great writers on great topics, including F. Scott Fitzgerald on what a magazine should be, Clarence Darrow on equality, D. H. Lawrence on women, e.e. cummings on Calvin Coolidge, John Maynard Keynes on the collapse in money value, Thomas Mann on how films move the human heart, Alexander Woollcott on Harpo Marx, Carl Sandburg on Charlie Chaplin, Djuna Barnes on James Joyce, Douglas Fairbanks, Jr., on Joan Crawford, and Dorothy Parker on a host of topics ranging from why she hates actresses to why she hasn’t married. Offering readers an inebriating swig from that great cocktail shaker of the Roaring Twenties, the Jazz Age, the age of Gatsby, Bohemians, Bootleggers, Flappers, and Swells showcases unforgettable writers in search of how to live well in a changing era.